Welcome to to our booking & payment page. 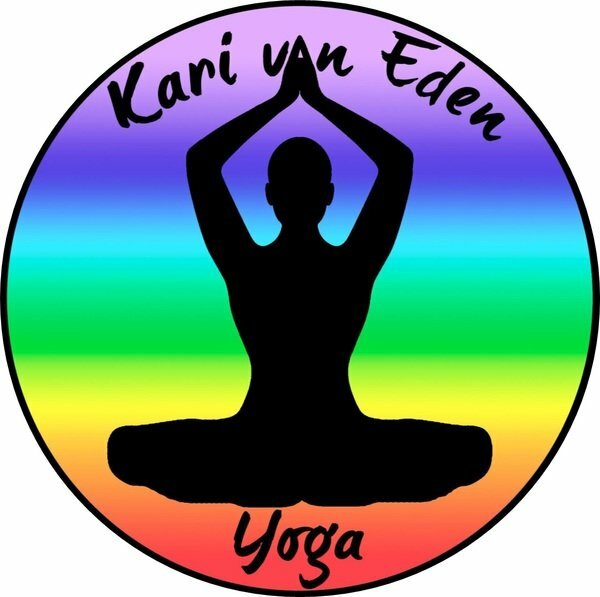 Kari van Eden and I work together as a team to provide you with yoga classes and events in Abergavenny, Cross Ash, Raglan, Chepstow & Devauden, Monmouthshire, Wales. I have tried various yoga classes with different instructors in the past, but used to leave the classes feeling as though I was not good/supple enough. Having practiced with Kari & Michael for the last two and a half years, I can honestly say that I feel I am making good progress. They creates a warm and friendly atmosphere, where all abilities are catered and the balance between physical and relaxation is just right. The meditation and visualisation make me sleep better and it's helping me to deal with the negative occurrences in my life, as my mind feels calmer.I can also see an improvement in my posture, core fitness and flexibility. I feel the weekly sessions reset my equilibrium, and have improved my immunity.It's an all round winner! Michael Cordel grew up with plenty of freedom to lead an active life. After some injuries sport took the backburner since every attempt at returning to sports ended in recurring injuries.Practising yoga now in his early fifties is proving to be the way forward to perform beyond the restrictions of the old injuries. His love for nature supports his interest in helping others rediscover their connection to Yoga and the Earth. Practising Yoga outdoors is especially useful to centre us, to anchor our mind and bring space into ourselves. For over twenty years Michael practised oriental acupuncture and massage. He gained a deep appreciation of the individuality of our lives. He aims to facilitate classes in a caring, supportive manner, honouring the individual to achieve their goals. 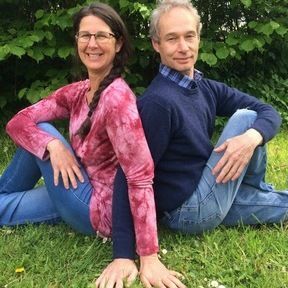 He and his partner Kari van Eden aim to bring mindfulness, fitness and joy to Children, Teenagers & Adults alike, who are looking to improve their well-being and expand their lives through the practice of Dru Yoga. Yoga has and is a fascinating journey of discovery, letting go and healing for Kari van Eden and she has first hand experience of transforming difficult situations in her life with the power of simply practicing yoga regularly and reaping the benefits of balance, equanimity, flexibility & strength in body and mind. These changes & qualities have positively influenced her family and friends who encouraged her to train as a yoga teacher. Now Kari uses her 20 years of yoga experience to guide her yoga students to regain their connection with themselves, gain flexibility, strength and to find their physical and inner peace. She presents her classes in a fun, relaxed way that takes the pressure off students to perform or 'keep up'. This approach helps students feel comfortable and relaxed, achieving the best results for them.